62091 M2 - 20 NM East of Lambay No recent reports. 62092 M3 - 30 NM Southwest of Mizen Head No recent reports. 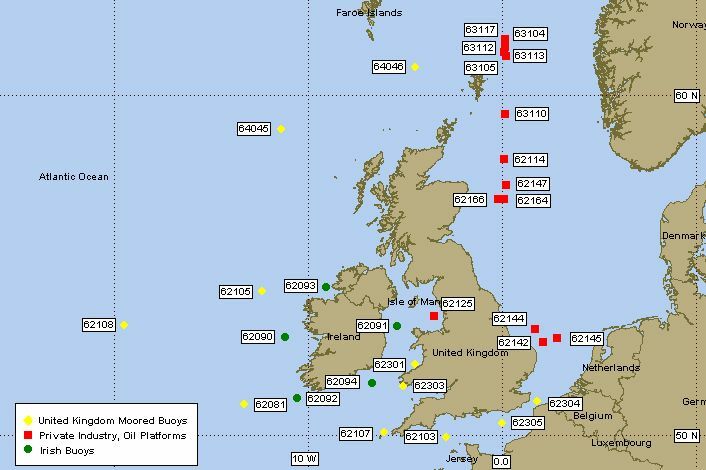 62090 M1 - 50 NM West of Aran Islands No recent reports.